Out of 24 Ekadasis in a year, Vaikunta Ekadasi is special as Vishnu, the Supreme Archetype of Wealth, opens the vault of heaven allowing you to access a powerful energy that can help you change your financial mindset. According to scriptures, Vaikunta Ekadasi is the only day of the year when Vishnu gives you access to his celestial abode Vaikunta, where Goddess Lakshmi resides with Vishnu in abundance and prosperity. On Vaikunta Ekadasi day, the Moon will be in Venus-ruled Bharani star representing the cycle of creation (birth) and dissolution (death). The star energy favors the annihilation of your pessimistic thoughts about money and supports you sowing the seeds of prosperity. 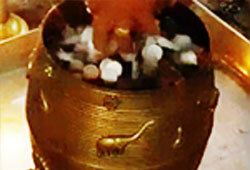 Moreover, money planet Venus will be in its own house, Libra, and will receive the aspect of the Moon. 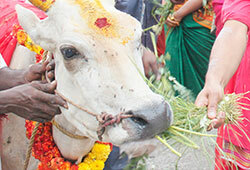 In Vedic astrology, the Moon-Venus association indicates creation of fortune. Moreover, the aspect of the fortune planet Jupiter, the day lord Mercury and the sign lord Mars in the 2nd house will be filling the day with energy favorable to improve your fortune and money. The objective of the Fire Lab is to bring the power of the sound to visible levels so that you can create the object in a three-dimensional form. 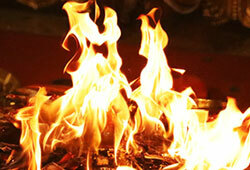 When you combine the fire with the mantra, the fire is what makes the mantra, or mantra’s object, visible. 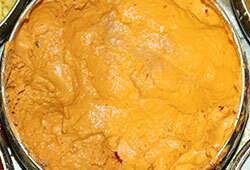 Brzee is a sound that does a number of things, but to say the least it gives you a new birth. 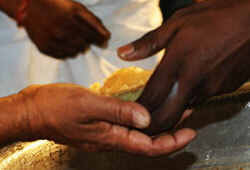 ‘Br’ gives a new birth to your consciousness, you become born again. Born again into what? 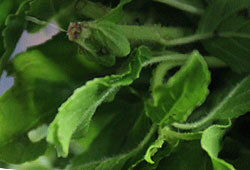 Into wealth, ‘Zee’; ‘Zee’ represents abundant wealth. 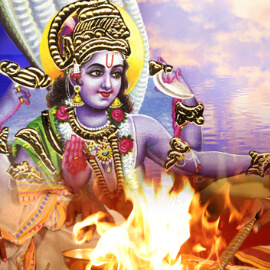 Join this special firelab during the powerful time for wealth manifestation, Vaikuntha Ekadasi, on 18th Dec, 3:30 am PT/ 5 pm IST. 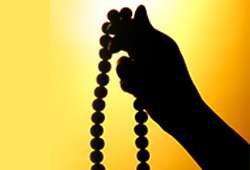 Pillaicenter has created sacred Vedic ceremonies for you to connect with Lord Vishnu and invoke his blessings for wealth, material abundance and spiritual awakening. 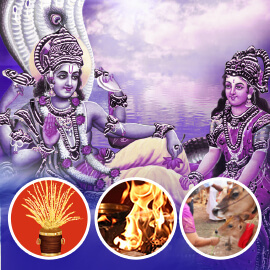 Book your individual Balaji Homa on Vaikunta Ekadasi to invoke Lord Vishnu’s divine grace and can fulfill your wishes, solve litigation issues, clear debts and help you create wealth. 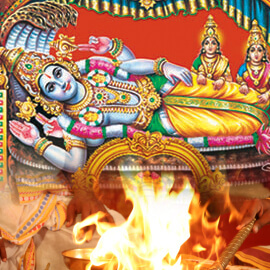 Book your individual Padmanabha Homa on Vaikunta Ekadasi to invoke the blessings of Lord Vishnu in the form of Padmanabha. 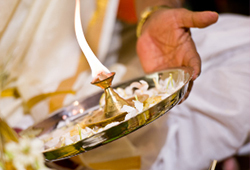 Performing this sacred fire ritual can bestow you with material riches, good progeny and remove marriage and wealth creation obstacles. 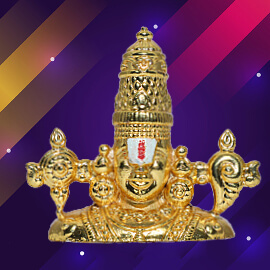 Book the product Balaji face, which will be energized in the Vaikunta Ekadasi ceremonies to receive the sacred blessings of Lord Balaji for health, wealth, and prosperity. Please Note: Your product will be shipped one week after the entire set of rituals is performed from Chennai, Tamil Nadu. For international shipping, please allow 2 – 4 weeks for delivery. 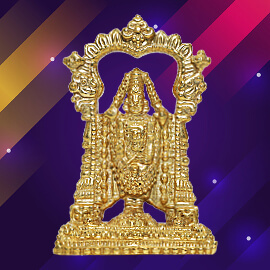 Book the product 3-Inch Balaji Statue, which will be energized in the Vaikunta Ekadasi ceremonies to receive the sacred blessings of Lord Balaji for wish fulfillment, solving of litigation issues, debt clearance and wealth creation. Out of 24 Ekadasis in a year, Vaikunta Ekadasi is special as Vishnu, the Supreme Archetype of Wealth, opens the vault of heaven allowing you to access a powerful energy that can help you change your financial mindset. 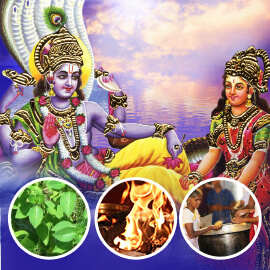 Participate in our Vaikunta Ekadasi essential Vedic ceremonies to connect with Lord Vishnu and invoke his blessings for wealth, material abundance and spiritual awakening. Out of 24 Ekadasis in a year, Vaikunta Ekadasi is special as Vishnu, the Supreme Archetype of Wealth, opens the vault of heaven allowing you to access a powerful energy that can help you change your financial mindset. 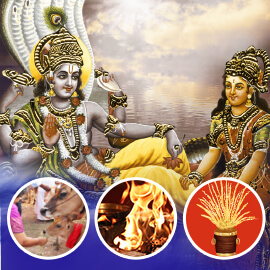 Participate in our Vaikunta Ekadasi enhanced Vedic ceremonies to connect with Lord Vishnu and invoke his blessings for wealth, material abundance and spiritual awakening. Please Note: Your product and Prasad will be shipped one week after the entire set of rituals is performed from Chennai, Tamil Nadu. For international shipping, please allow 2 – 4 weeks for delivery. Out of 24 Ekadasis in a year, Vaikunta Ekadasi is special as Vishnu, the Supreme Archetype of Wealth, opens the vault of heaven allowing you to access a powerful energy that can help you change your financial mindset. 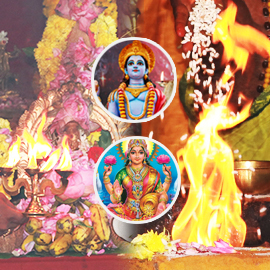 Participate in our Vaikunta Ekadasi elite Vedic ceremonies to connect with Lord Vishnu and invoke his blessings for wealth, material abundance and spiritual awakening.